SPECIAL CUT FOAM ORDERS. Do you have a large commercial chair job of a hundred pads or more? SAVE TIME AND MONEY! Let us cut them for you. We can cut most shapes. Send us a template/paper pattern or vinyl etc. NO WASTE – NO SCRAP. 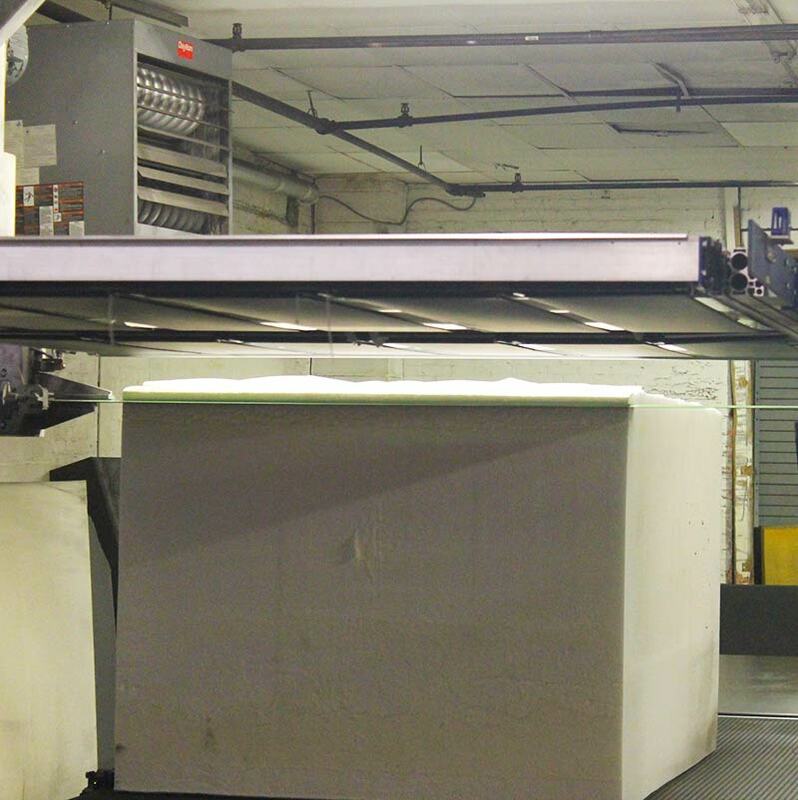 We have the capability to custom cut all of your contract orders. Also, we can cut special wedge and bullnose cushions. Please call for prices. Charcoal, Ester, Ether, Visco, Latex, Polyethylene, Polystyrene or Anti-Static, Quilting Rolls. and durability, and has been analyzed by independent, accredited testing laboratories. We offer various types of quality foams in different shapes and cuts. From standard sizes to custom cuts we know we have the type that you need. 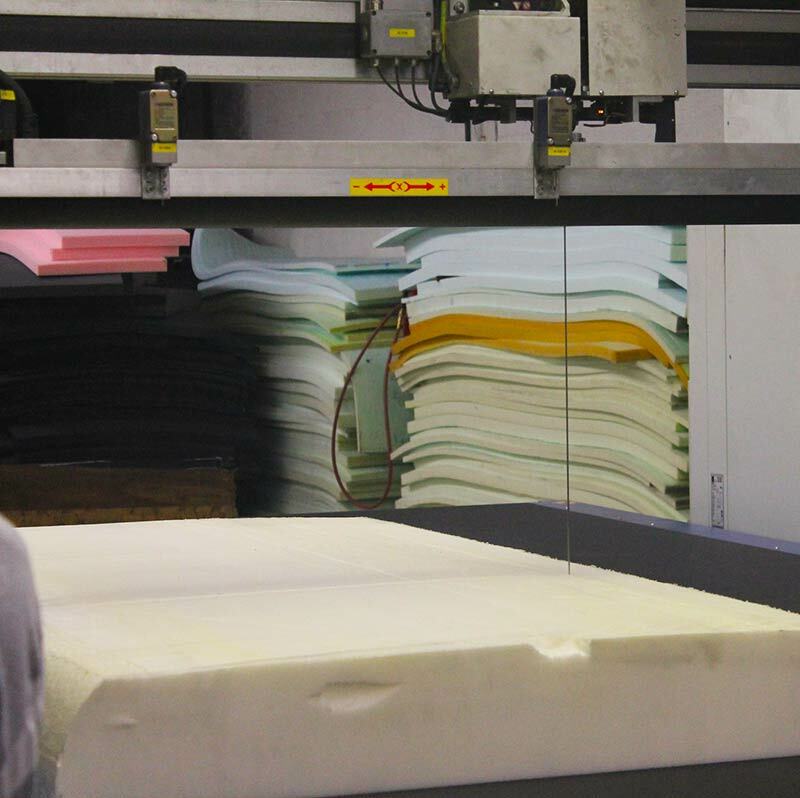 Mid foam for mattresses, ultra foam, acoustical foam, poly, latex and rebond foam. 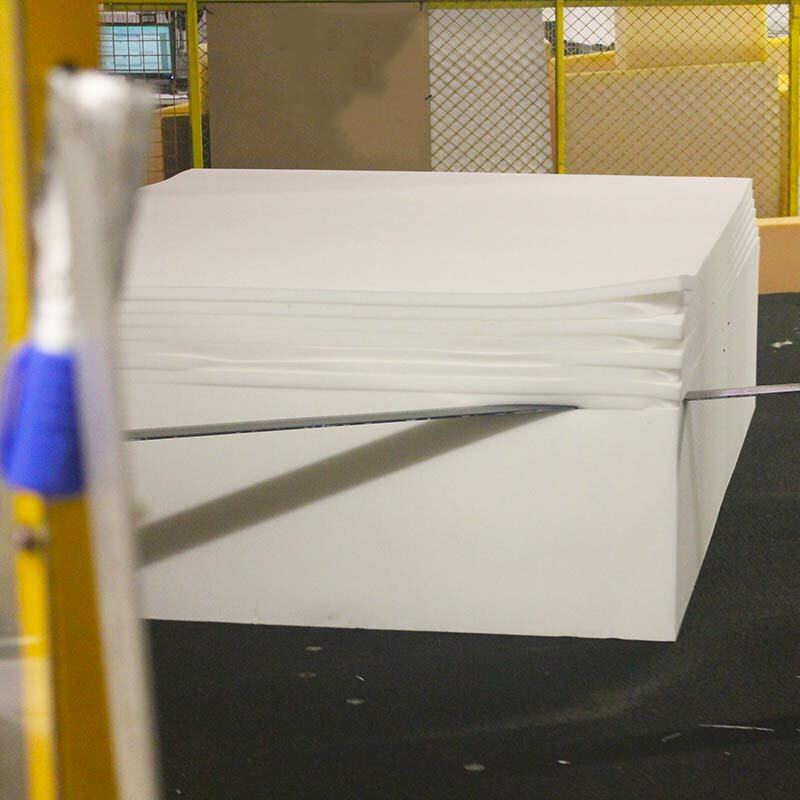 Works on a carousel to cut foam thin a precisely to desired measurments. Even more precise, our Horizontal Vertical Contour Cutter can cut exact measurements. Our Automatic Vertical Cutters get your custom cuts exact.